We regularly update Baby+ for our users to make it even better! Download the latest version now. We don’t want you to miss out! I'm still waiting n the process of downloading and trying out every baby tracking app, but so far this is definitely the best designed and intuitive. Many other apps suffer from bad UI/UX, though have all the features. Here, we've so far had few-to-zero usability problems. My wife and I have two main desires from the app. We have twins and switching between children's pages feels like too much toggle- tapping. It would also be great to have a view of information of both simultaneously, if desired. And since ours are twins, the profile image in the corner doesn't "work" since both babies look the exact same Haha. The last request and question is if there are any plans for multiple user logins for logging/reporting/sharing information. We could login using a shared account, but it would be juice to be able to see who logs what new information. This is especially important for when we have grandparents or other caregivers who we would like to grant reporting access to but not necessarily unlimited free reign. Thank you so much for the wonderful feedback. We truly appreciate hearing how customs use the App and what can make their experience better. We will share your comments with the development team as we plan for future updates. Thanks to customers like you we can continue to improve the App. Wishing you happy and healthy parenting! 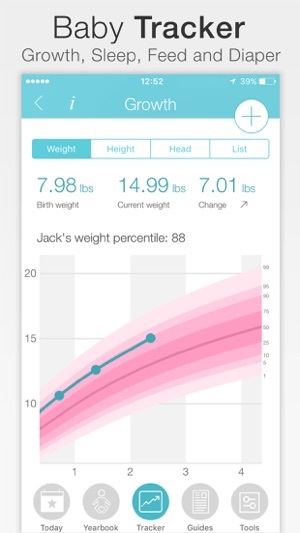 I’m a first time mom and I downloaded this app the day after I delivered in the hospital because the nurses kept asking when my baby last fed and how many diapers he was having. I lucked out in finding this one on my own. I love this app. 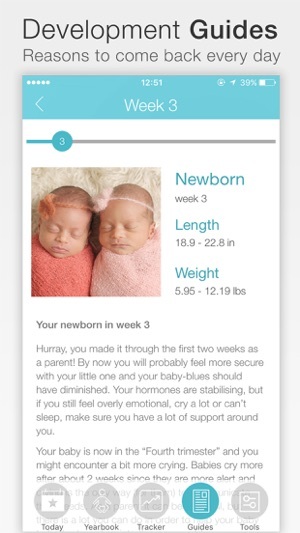 It has everything you need to keep track of all the important info when baby first arrives. Even the reminders when you open the app and have a live feeding or sleeping session open are brilliant. The doctors appointments and questions section are super helpful. I love the face a day feature. There is so much to capture and this app keeps everything all in one place. I also love how you can export the “yearbook” and have all your entries in one place. My only bit of advice or suggestion to the developers is to add a tracker for pumping. I was asked about how often I pump and how much I produce and I might not always feed this amount to the baby, so adding this would be helpful. But thanks for a great app! Thanks you so much for the lovely review! Great suggestion about adding a pumping tracker - we'll share it with our development team as they plan for future updates. 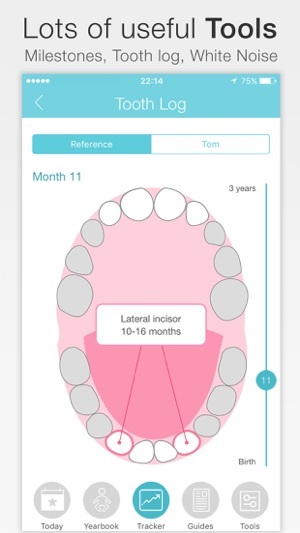 Thanks to feedback from customers like you we can continue to improve our App. 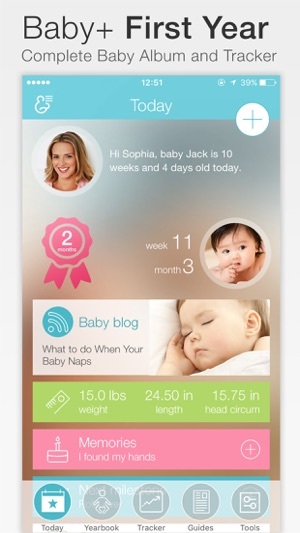 Thank you for such a thoughtful review - we're working hard to create the best baby care App! © 2018 Health & Parenting Ltd.